HELLO!!!! I am in a ridiculously good mood today. I love ridiculously good moods. It's a beautiful morning in Boston and I am just a happy girl! I am also happy to be sharing this week's brand new Simon Says Stamp Wednesday Challenge with all of you! This week, it's all about the guys! The Design Team is featuring Tim Holtz products and our challenge is For a GUY. This conveniently coincides with Father's Day, here in the US. That might not be a coincidence. Maybe not. Just... yeah. Maybe. 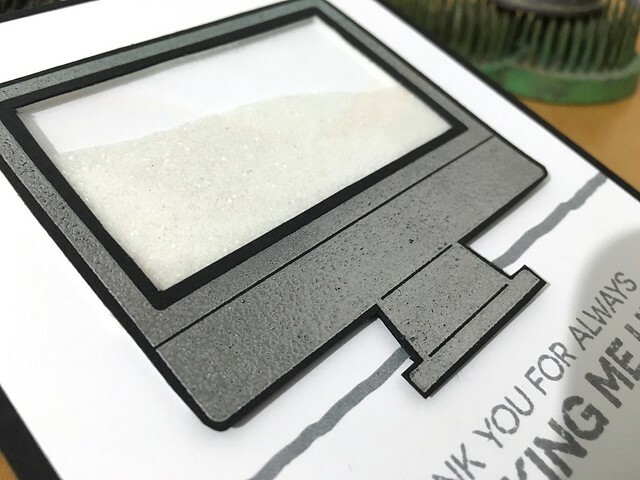 I pulled out a few of my Tim Holtz to create a card that might not be the style one normally expects when thinking of Tim Holtz. 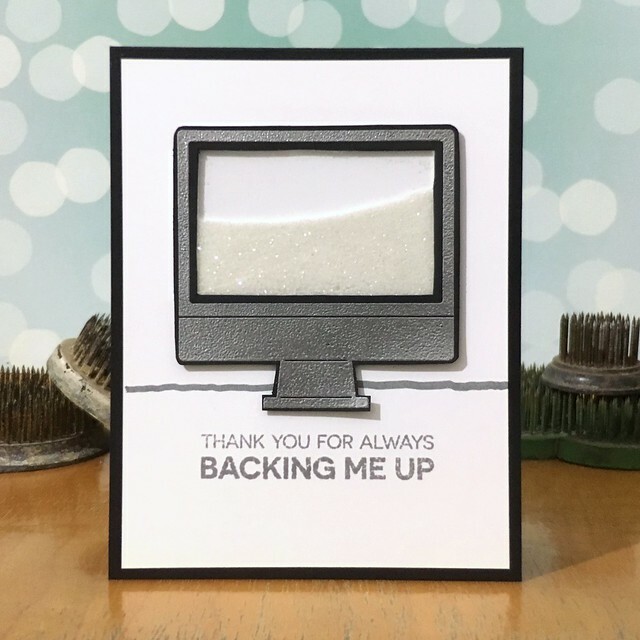 I combined Distress Ink, Distress Markers, and some awesome Distress Glitter with a super fun My Favorite Things Stamp Set to create a great card for the tech loving person in your life. Yup. I used glitter on a guy card. And it totally worked, yo. For reals, though. And now it's YOUR turn! Create a fabulous card for a special guy in your life and link it up over on the Simon Says Stamp Wednesday Challenge blog! We can't wait to see what you create! Don't forget... one lucky participant will win a $50 Gift Certificate to the Simon says Stamp Store! WHAT?! Yup. That's gonna happen! This is ih so cool.